A book about a balanced Christian life, at first glance, may seem less exciting than one with prophetic speculation, or a flamboyant exposé regarding doctrinal differences. But in the long run, the practical lessons about balance can be of greater importance. If a tire is out of balance, a car will bump and bounce down the road. If a checkbook is not properly balanced, checks begin to bounce, resulting in bank charges, extra work, frustration, and embarrassment. If a person’s life is out of balance, spiritually or otherwise, it can also bring loss and confusion. Some folks spend all the money they get, never saving anything. Others, always trying to save, fail to invest. Both are extremes. I knew a man who would drive around a block several times in order to find a parking meter with time on it. While saving a dime, he may have spent three times as much in effort and gasoline! I like potatoes. I like fried potatoes, baked potatoes, mashed potatoes, boiled potatoes, potato soup, and potato chips. But a balanced meal will include more than potatoes! This is also true regarding our spiritual diet. Conclusions should not be based on one verse, when other verses will help provide a balanced meal. One-sided preaching about how bad everything is getting, or how sinful people are, unless it is balanced with love and mercy, is like a surgeon who cuts open a body and fails to sew it up. I once heard a visiting preacher say the church should throw away all the hymnbooks! He favored singing only “worship choruses.” But the Bible speaks of “psalms and hymns and spiritual songs” (Eph. 5:19)—not just one type of songs. There is no need to make a “god” out of a denomination; but neither should we make a “god” out of not being a denomination. There is nothing wrong with a group having a distinctive history, founder, revival, or unique beginning—except when these things breed sectarianism or exclusivism. 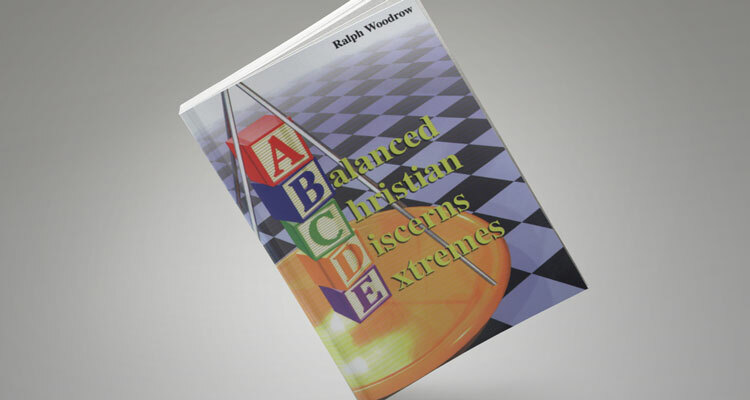 A BALANCED CHRISTIAN DISCERNS EXTREMES provides balanced teaching on a wide array of biblical subjects, including: Poverty/prosperity? Positive thinking? Asking “anything”? Sacred Name? Public confession? Submission? Sickness-from God or Satan? Predestination. Grace/works. Eternal security? Conditional security? Situation ethics? Greet with a kiss? Open pulpit? Bible contradictions. Hearing God’s voice. Knowing God’s will. Dreams. Witnessing methods. Church contests? Instrumental music in church? Only worship choruses? Sanctuary styles. Ministry attire. Women to be silent in church? Misunderstood words. Cold formalism/wild fanaticism. Biblical name of Church.